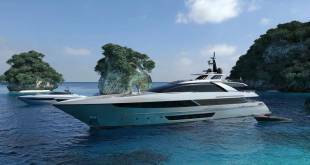 New renderings of the 53-metre project Tala has been released by Turkish yacht builder Turquoise Yachts. 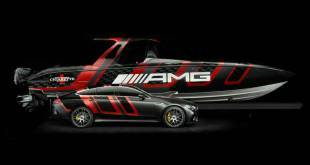 The delivery of this yacht with an usual 720GT, with three-decks and DeBasto Designs interior and exterior design is expected in 2020. 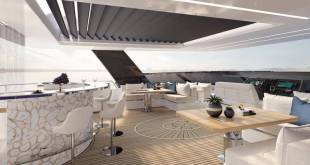 The layout includes an owner’s suite and VIP forward on the main deck and four further guest suites on the lower deck. 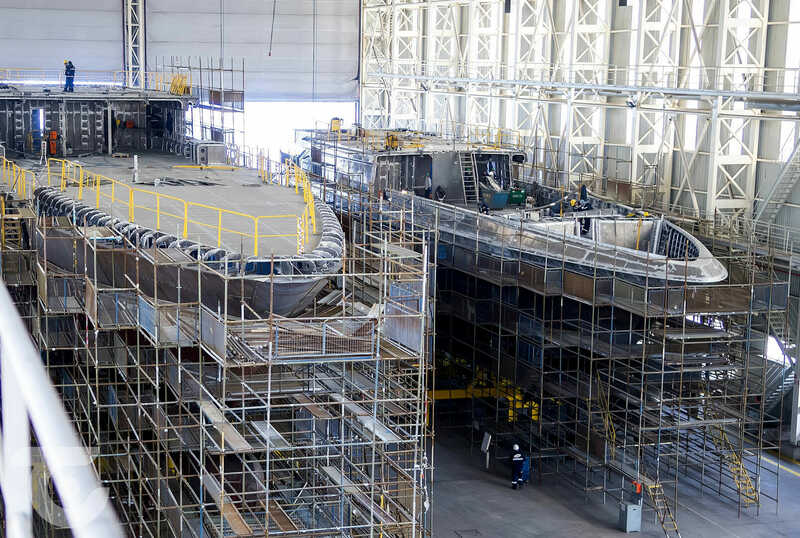 Her hull and superstructure are completed. With everything oversized on board, it is no surprise to find a massive swim platform at the stern that simplifies and makes tender operations far safer and more convenient for guests and crew. The fun continues inside with a gym and sauna on the beach deck. 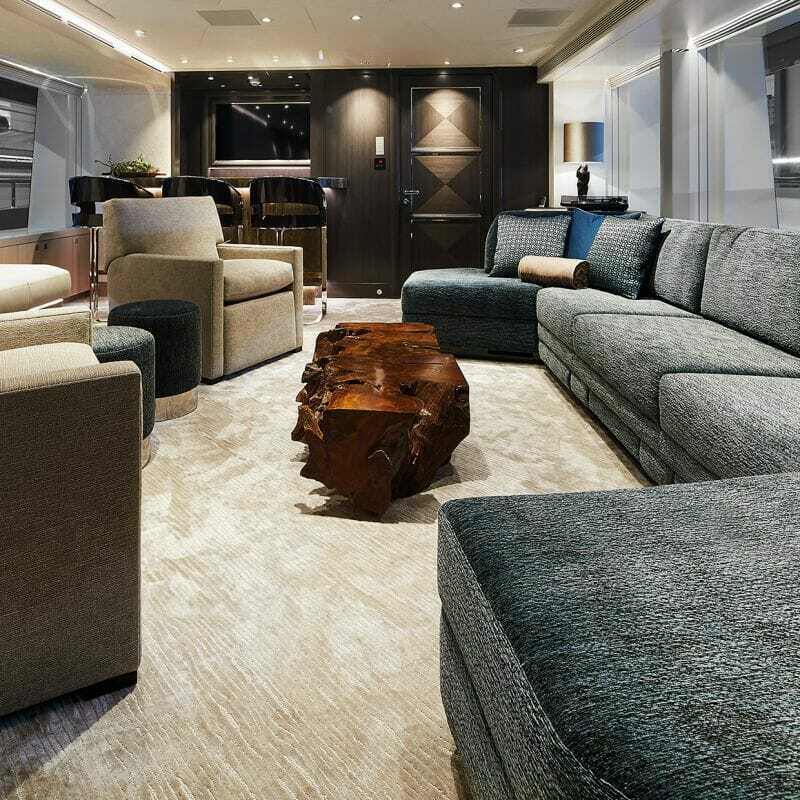 Throughout the yacht, DeBasto has incorporated natural separations between crew and guests with secret alleys on both the main and lower deck to enable non-intrusive service when needed. Large windows will bring natural light into the endless precious woods and other natural materials that will characterise Tala’s living spaces. 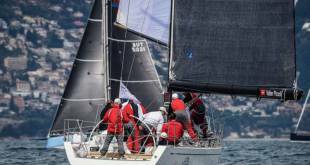 Tala is fitted with twin 1,300 HP Caterpillar engines, with an expected top speed of 15 knots. 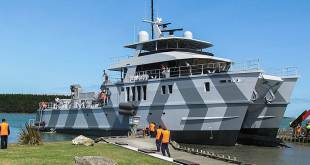 Canadian filmmaker, philanthropist, and deep-sea explorer James Cameron and his company OceanX, with billionaire Ray Dalio and his son Mark Dalio, has recently announced the plans to refit the 85-metre explorer yacht Alucia2, previously known as Volstad Surveyor, built in 2010 by Freire Shipyard. 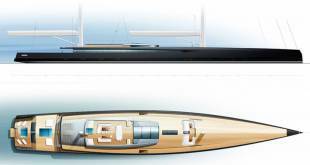 Gresham Yacht Design have created the design for OceanX’s new 85-metre project Alucia2. 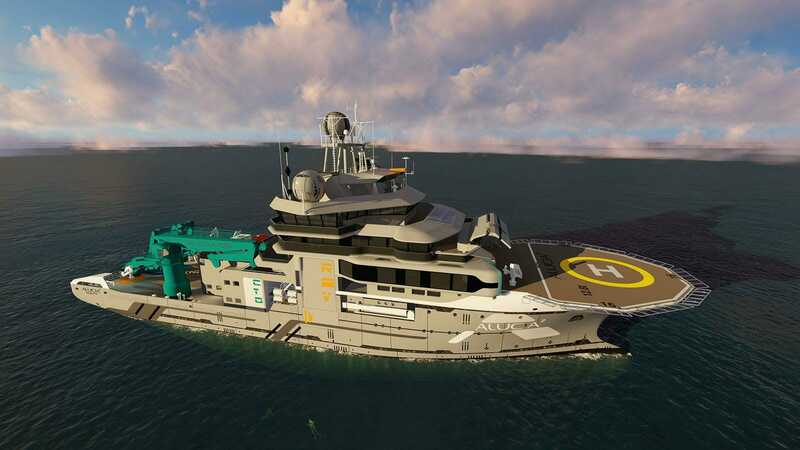 The vessel has been commissioned by an existing owner and philanthropist who together with OceanX aim to further explore the secrets of the ocean together with director James Cameron and BBC’s Blue Planet. OceanX will use Alucia2 as a next generation platform to discover 70 per cent of the planet that remains mostly unexplored and share this secret world through carefully executed media. The mission of the team is to “enable explorers and researchers to explore the unseen ocean, map uncharted areas of the world, observe rare deep-sea creatures, and pursue scientific and medical breakthroughs — and then bring all of these wonders back to the wider world,” reveals OceanX’s press team at the time of launch earlier this week. Alucia2 was built by Freire and launched in 2010. 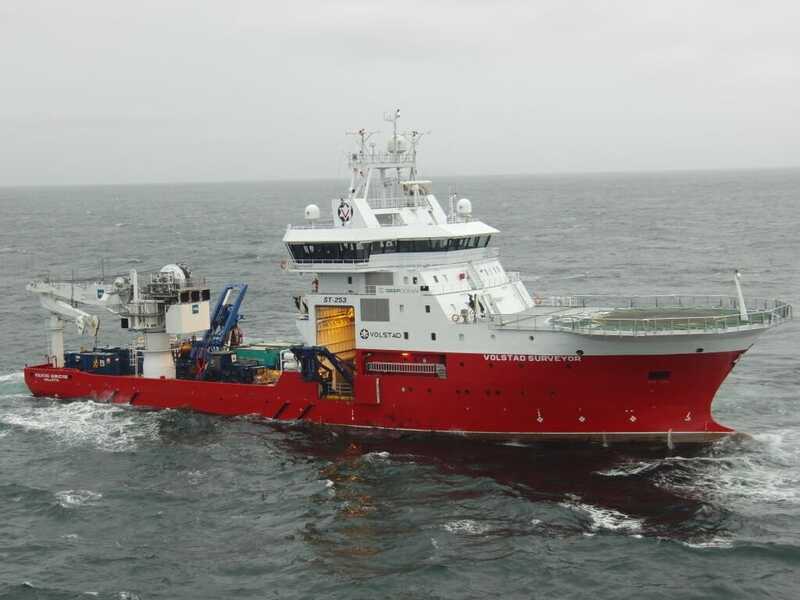 As part of her transformation into a high-tech scientific research vessel, she is currently undergoing a major refit in The Netherlands, during which significant improvements will be made with the aim of enabling the OceanX team to explore further than ever before. 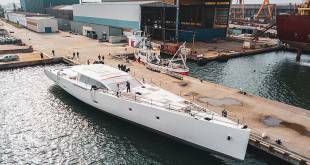 The Ferretti Group Superyacht Yard in Ancona celebrates the launch of the brand’s first superyacht over 300 GT. 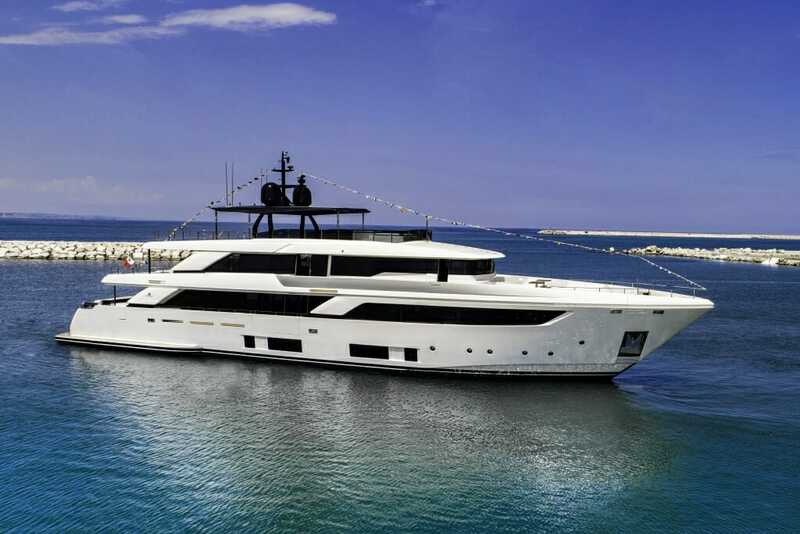 The great expectations raised by the magnificent Navetta 42 have been rewarded recently with her launch at the Ferretti Group Superyacht Yard in Ancona. Both the interiors and exteriors of the new Navetta 42 can be extensively customised, so that each owner can create their own dream boat. The layout optimises the way the generous spaces are used, adopting an innovative and attentive approach to the organisation of the interiors and particularly the outdoor settings, which exploit the four decks to the full to offer the utmost privacy and comfort at sea. 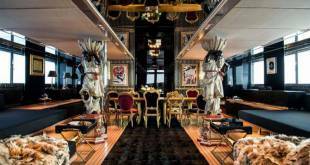 A huge suite on the main deck is reserved for the owner, while the layout on the lower deck features four VIP suites. 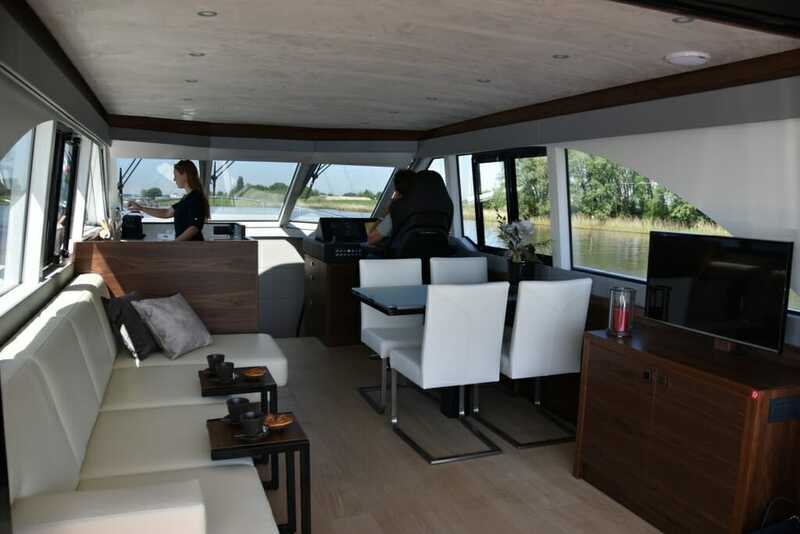 The captain has a spacious living area forward on the upper deck, with a private cabin and direct access to the main helm station. 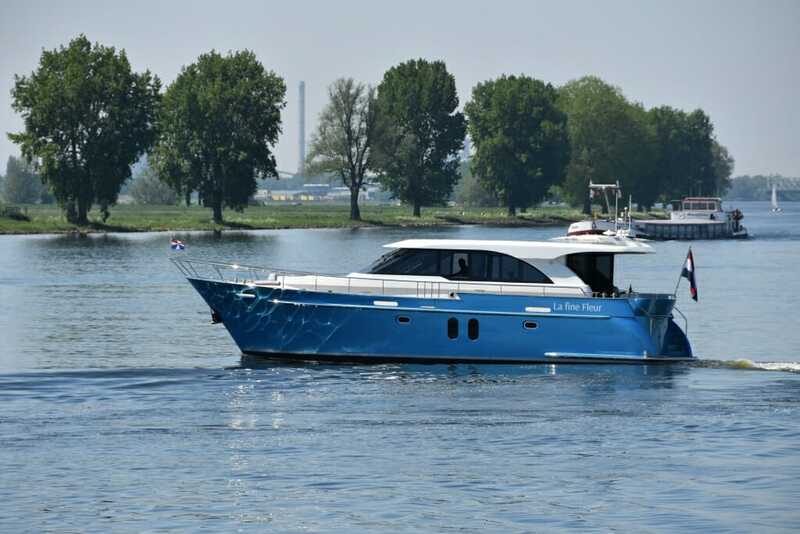 The Executive 1500 Mk2 is the new motoryacht of Van den Hoven Jachtbouw. The stylish design by John van Leeuwen is fully in line with the recognizable design language seen on the spacious and elegant Executive 1850. The changes in the hull design include the stepped bulwark, resulting in a lower hull and a more elegant and sporty silhouette. With a length of 14.99 m, a clearance of 3.45 m, a draught of just 1.40 m and CE A certification, the 1500 Mk2 is a versatile motoryacht for all European waters. Her fully foldable mast makes the yacht ideal for travelling the French waterways and most other European rivers with low bridges. 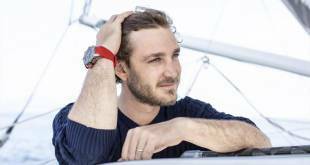 It also allows you to sail the Rhine without requiring a Rheinpatent license. The use of a 225 hp Volvo Penta engine limits consumption to 10.7 liters an hour at a speed of 7.1 knots. The Executive 1500 Mk2 is also available with two engines. 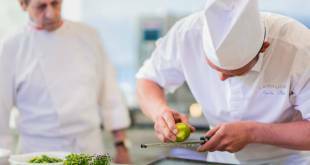 The Executive 1500 Mk2 reinforces why Van den Hoven has such an excellent reputation when it comes to on board quality and spaciousness. The clever use of the square meters creates a spacious and comfortable feel, enhanced by the large windows and 360-degree views. 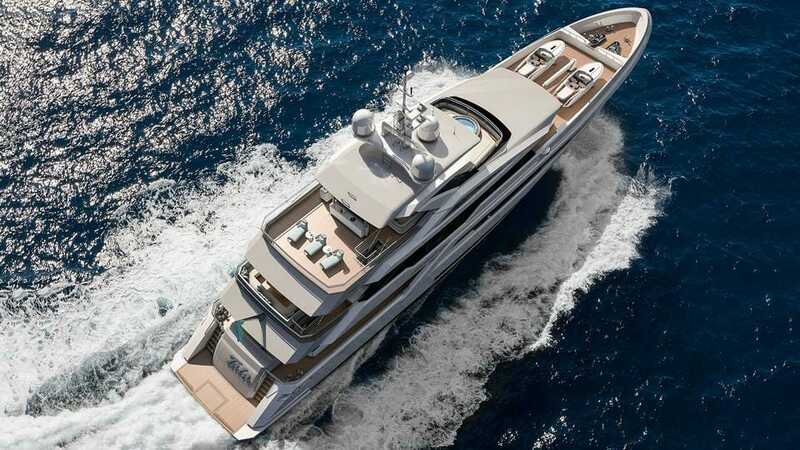 The roomy ambience and all- around views exceed any other yacht in the 15-metre class. The galley, wheelhouse, lounge and dining space flow naturally into each other, adding to both the cosiness and convenience. 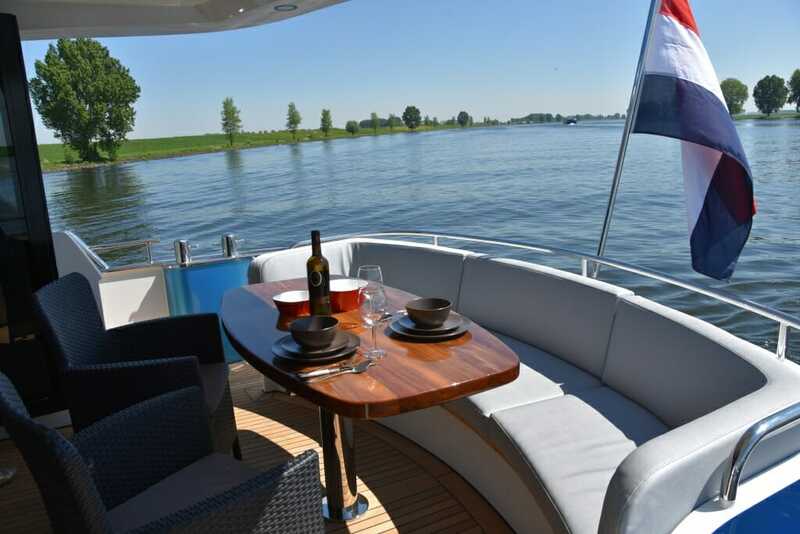 For instance, guests can enjoy a drink on the aft deck, the modern galley invites top-notch cooking, and there is plenty of space around the helm for people to gather and socialize. cleanly nished and well-insulated engine room. Superbly integrated in the foredeck, the large and comfortable sofa is an ideal spot to relax and watch the world go by. The aft deck features another spacious seating area with dining table and space for two or three more chairs. The aft of the superstructure above is extended to create shade and the option also exists to enclose the whole area to provide privacy and protection from the sun. 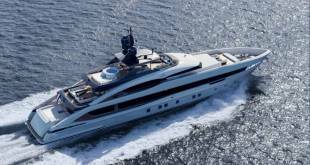 In May, 2018 YachtHarbour has announced that 51-metre full-custom Irisha was delivered by Heesen. 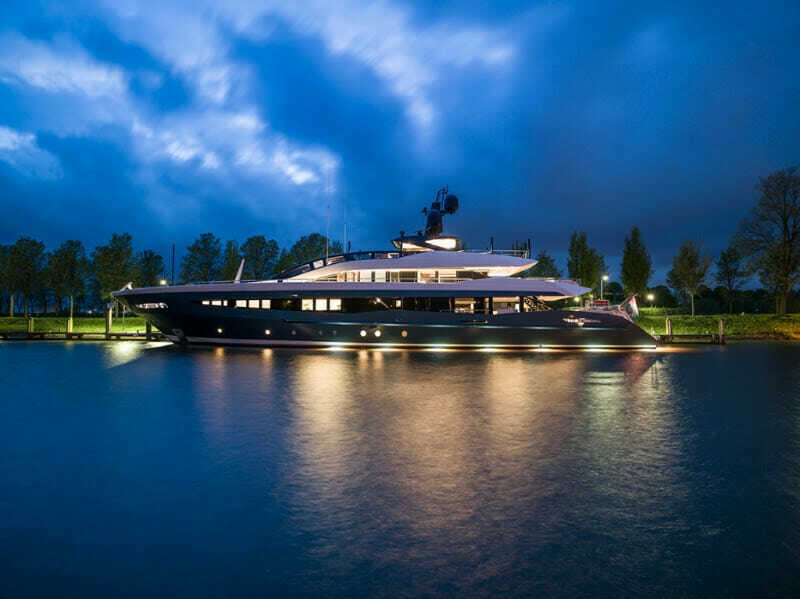 Irisha – brand new 51-metre Heesen features an eye-catching exterior designed by the UK-based Harrison Eidsgaard studio with a gunmetal blue hull and contemporary curved glass windows. Sleek and elegant, Irisha combines state-of-the-art design with impeccable Dutch craftsmanship from Heesen to create the ultimate modern charter yacht. In addition to designing Irisha’s exteriors, the Harrison Eidsgaard team were also responsible for styling her stunning interior. 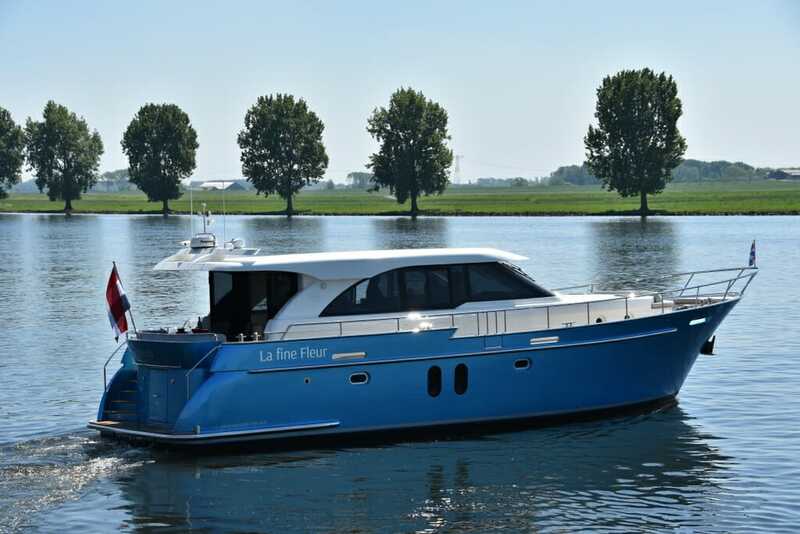 Spacious and bright, Irisha’s interior enjoys lots of natural light and has a versatile layout with a seamless flow between the interior and exterior living space, ideal for socialising and entertaining. 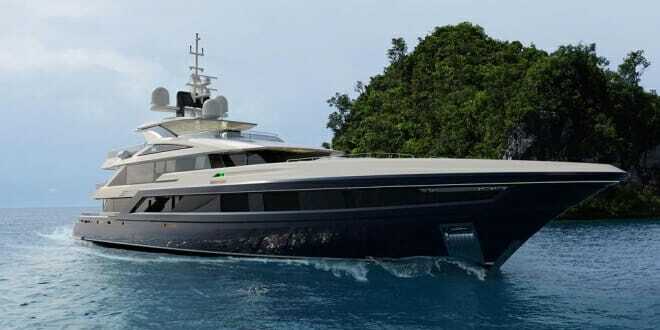 Stunningly presented, Irisha has a 9-person crew onboard to keep everything running smoothly. Highly experienced and dedicated to providing the very highest standard of service, the crew will be on hand throughout the holiday to ensure your client’s enjoy the ultimate luxury charter experience or simply relaxing with friends and family.